Open Visual Studio 2008 and choose "File", "New", "Project..." in the main menu. 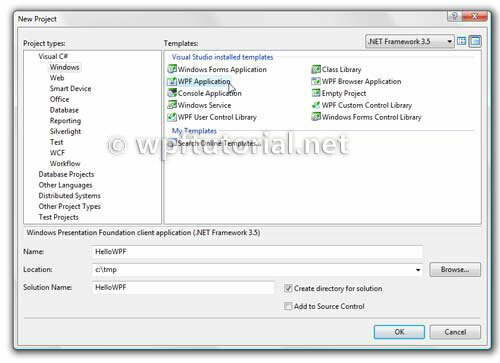 Choose "WPF Application" as project type. Choose a folder for your project and give it a name. Then press "OK"
Select the Button and switch to the event view in the properties window (click on the little yellow lightning icon). Doubleclick on the "Click" event to create a method in the codebehind that is called, when the user clicks on the button. Note: If you do not find a yellow lightning icon, you need to install the Service Pack 1 for VisualStudio on your machine. Alternatively you can doubleclick on the button in the designer to achieve the same result. Visual Studio automatically creates a method in the code-behind file that gets called when the button is clicked. 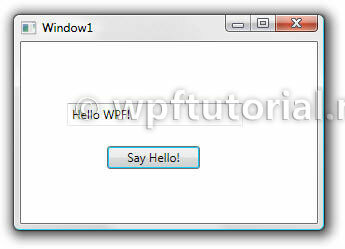 The textbox has automatically become assigned the name textBox1 by the WPF designer. 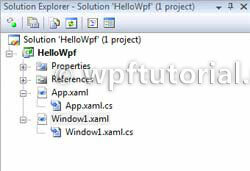 Set text Text to "Hello WPF!" when the button gets clicked and we are done! Start the application by hit [F5] on your keyboard. The Great Website For WPF Learn Thanks Sir. Its too easy to understand . 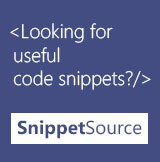 Its good,but what's new with WPF! 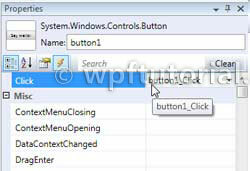 It can simply be done with winforms.Please give some example which describe the WPF specialty. 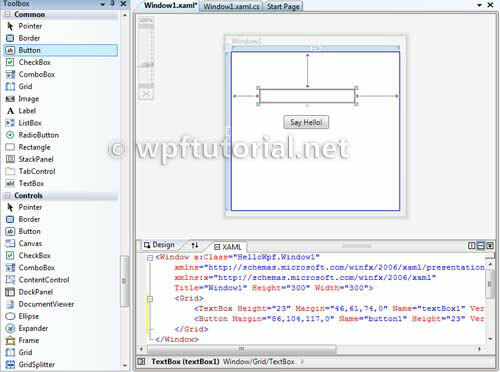 Very useful tutorial... thanks :) I just wanna give 1 suggestion; if you could add a link @ Bottom for next page then it will be better..
WPF is for desktop application or web application??????? After creating an application I am not getting any control on toolbox to add on .xaml page.I need help.